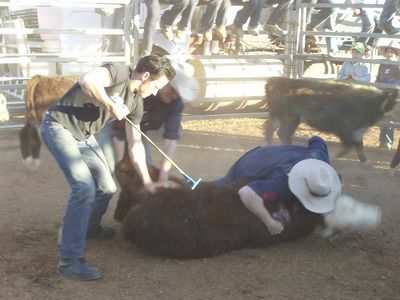 This month, Animal Planet takes viewers on an epic journey across the Australian Outback into the world of Australia's cattle workers in OUTBACK COWBOYS - THE GREAT AUSTRALIAN CATTLE DRIVE. Through the lives of these extraordinary people, viewers will experience a very real part of Australian history. 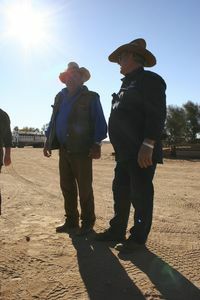 Meet characters such as the Bells - a family which has lived and worked at Dulkanina Cattle Station for 5 generations, 76 year old Whitey who still works as a station hand, and 27 year old Adam Lichfield who is one of the best horsemen in South Australia. These are but a few of the unique characters who survive and thrive in South Australia, keeping traditional practices alive doing what they do best. 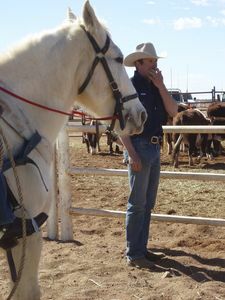 Filmed in high definition, OUTBACK COWBOYS - THE GREAT AUSTRALIAN CATTLE DRIVE captures the drama and exhilaration of this event including the rugged terrain of the legendary Oodnadatta Track, the location for the 2007 Great Australian Cattle Drive. 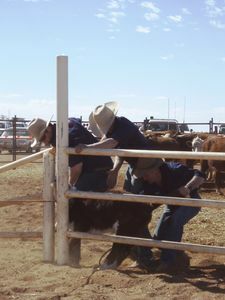 Shooting the programme involved 500 heads of cattle, 120 horses and visitors from across Australia and around the world. 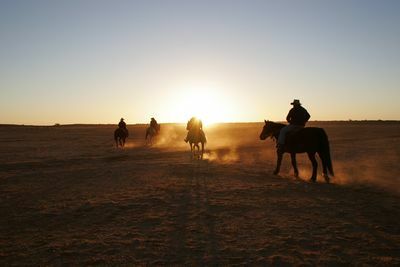 From stampedes to herding cattle on motorbikes, breaking and riding an untamed horse to bull-riding, OUTBACK COWBOYS - THE GREAT AUSTRALIAN CATTLE DRIVE will take you on a personal journey into the lives of Australia's cattle workers as they go about their day to day tasks.